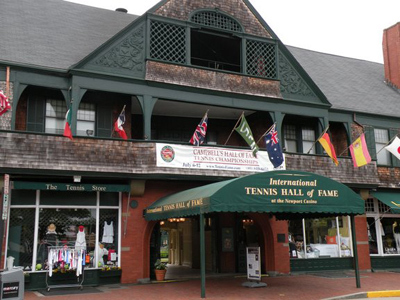 birthplace of American tournament tennis in 1881. 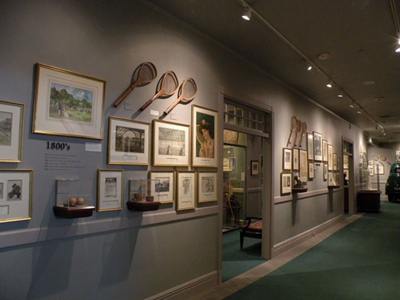 This is a cool place to visit, even if you're not very interested in tennis (like me). 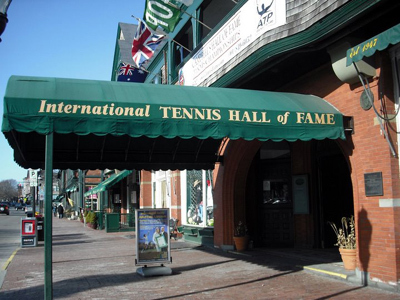 It now hosts the Tennis Hall of Fame induction ceremony, an incredible museum, summer tennis tournaments, and various corporate events and weddings throughout the year. 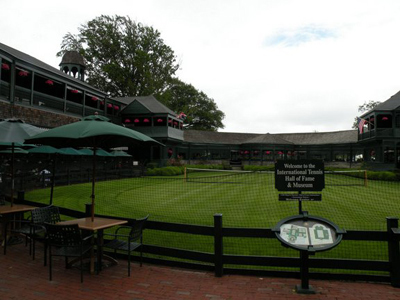 The courts are the nation's oldest grass courts continuously used. 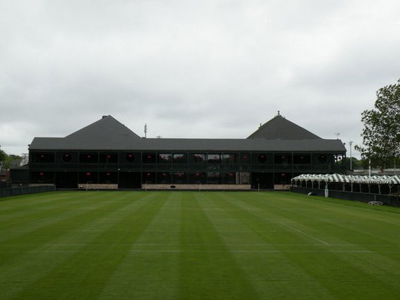 They are also the only competition grass courts that are open to the public to play on. You will need a reservation though. Want to play here? Just call and make a reservation! The Hall of Fame Museum is very unique. I think you'll enjoy the combination of entertaining interactive exhibits and the fascinating architecture of the building. 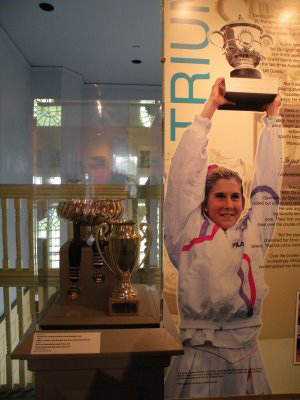 You'll see plaques, videos and other memorabilia highlighting the sport's greatest players, each set up in rooms that were part of the old Newport Casino building. The museum contains over 15,000 objects in its collection. 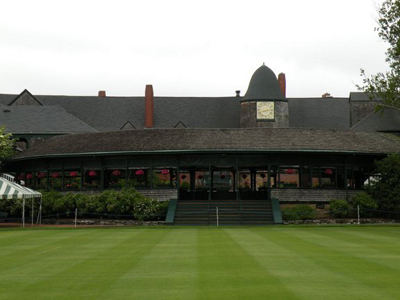 This tournament is the only North American professional tournament held on a grass court, and features 32 of the world's top players. The victor will take home $500,000 and the Van Alen Cup. will be inducted this year (which makes me feel old). This tournament will feature many great Hall of Famers, including Jim Courier, Mats Wilander and Pat Cash. 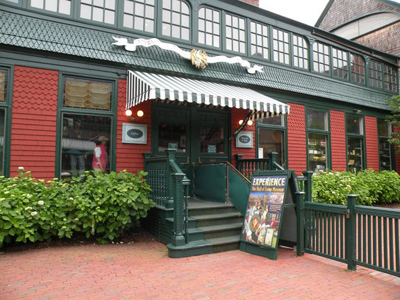 This location is also available for your next corporate event, family reunion or wedding. 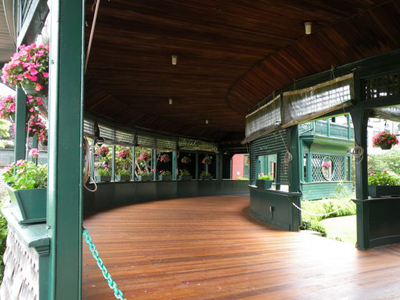 Have your ceremony or reception overlooking the courts! This is a perfect location to host a cocktail party for a few hundred of your closest friends outside on the horseshoe piazza. There is also a function room upstairs that can comfortably hold about 70 people for a sit-down dinner. 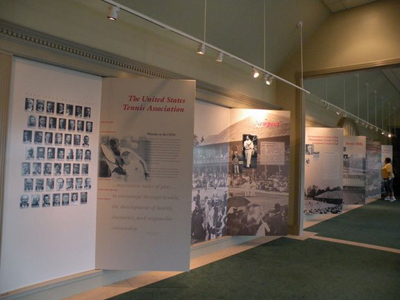 Hours for touring the museum are 9:30am to 5:00pm daily. The courts here are open to the public from May through September. 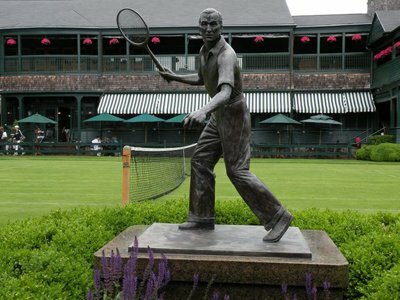 You can choose from the 13 grass courts, 1 clay court and 3 indoor hard courts. 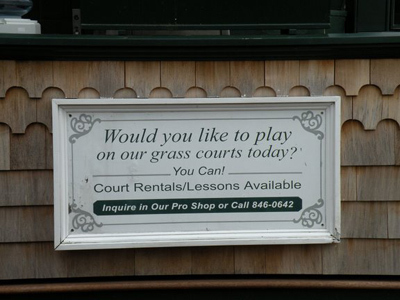 You can make reservations to play here or join one of the instructional programs by calling 401-846-0642.